Even to Katherine Dunham‘s dance class circa 1955 … but who wouldn’t? 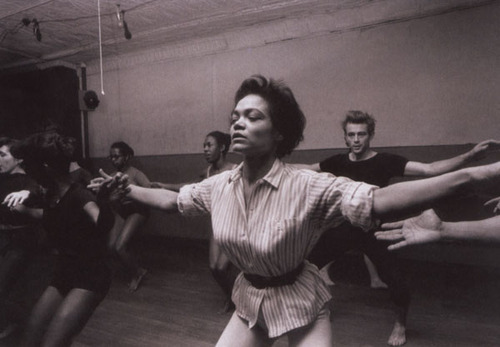 Eartha Kitt danced with the Dunham troupe from age 16 to 20, approximately, touring Europe, and becoming a cabaret sensation in Paris. James Dean, on the other hand … this great photo care of koolcatshipchicksblog. fabulous dunham historic photos here.